Lateral Entry into Civil Services - Should the Government Allow It? 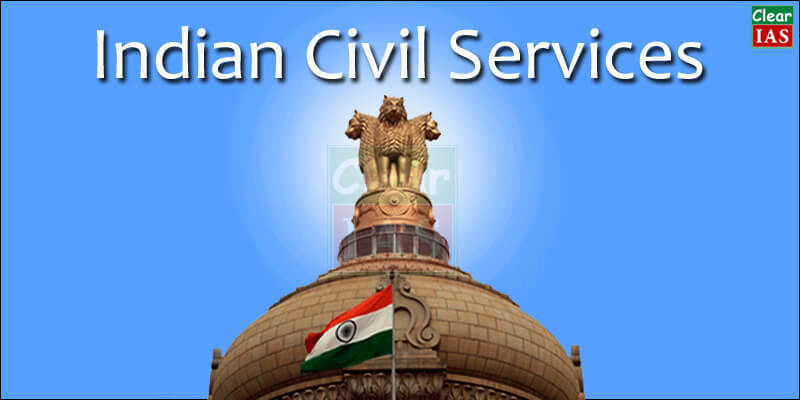 Lateral Entry into Civil Services – Should the Government Allow It? 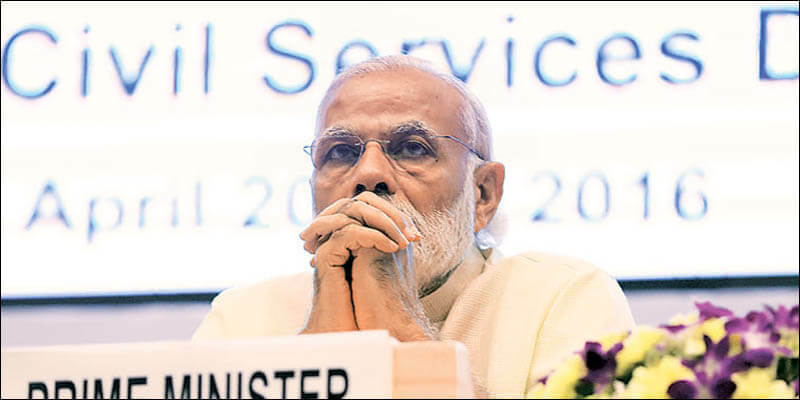 Prime Ministers Office (PMO) has asked Department of Personnel & Training (DoPT) to put up a proposal for lateral entry into Civil Services – the prestigious career option of millions. In this article, we discuss the need of reforms in Indian Civil Services and whether lateral entry system should be used or not. What is Lateral Entry into Civil Services? Traditionally to get into Civil Services like IAS, IPS etc. a candidate has to clear the three stages of UPSC Civil Services Exam – Preliminary, Main Exam, and Interview. One-third of the vacancies in Indian Civil Services is also filled by promotion of eligible candidates working in different State Services. Lateral entry into civil services – means bypassing these two options. Now the proposal is for selecting private individuals for appointment in the ranks of deputy secretary, director and joint secretary. Why Indian Bureaucracy needs a rejuvenation? The World Bank ranks India at 130 in the Ease of Doing Business Index. India ranks 76 in the Corruption Perception Index brought by Transparency International. It also mentions that India has the highest incidence of bribery in the Asia-Pacific. The Political and Economic Consultancy Report rated Indian bureaucracy as the slowest among its 12 Asian counterparts. Such indices and reports are a manifestation of the retrograde bureaucracy of India and its unprogressive performance, urging immediate rejuvenation. Several steps have been taken by the current government to enhance the qualitative value of civil servants in India. One among them is the instruction issued by the Prime Minister’s Office to the Department of Personnel and Training to prepare a memorandum on induction of outsiders in the middle rung of ministries that deal with economy and infrastructure. This announcement has caused an upheaval of speculations in both the political and administrative circles of the country. As rightly pointed out by Honorable Member of Parliament Shashi Tharoor in the Question Hour of Lok Sabha, there are underlying vacancies in different departments of multiple ministries and also inefficiencies in the existing system of complacent bureaucracy. The government has to take leapfrogging measures to arrive at a political consensus for reforms in bureaucracy. According to some sources, the shortlisting of private sector executives or social workers would be through a matrix of experience and qualifications, without taking into account their current salaries. The final selection committee would be headed by the Cabinet Secretary. As per preliminary estimates, 40 individuals such as entrepreneurs, academicians, and social workers would be selected to the middle management level. Notably, there would be no entry of such officials in the Ministry of Home, Defence, Personnel, and Corporate Affairs. The assurance of a secure career path has been held to be the career-based system’s biggest lacuna. This weakness has been compounded by a heavy reliance on seniority, an inadequate annual reporting system, and frequent transfers (Reference: Indian Express). It has discouraged initiative by reducing competition in the higher echelons of government. Allegedly, the quasi-monopolistic hold of the career civil services on senior management position breeds complacency, inhibits innovative thinking and prevents the inflow of new ideas from outside government. There is a huge shortfall in a number of recruits, such as 20% shortage of IAS officers in 24 state cadres of India. The Baswan Committee has pointed out the huge deficit of officers. The government has in March 2017, informed that there is a shortage of over 1,400 IAS and 900 IPS officers in the country. While the total strength should be 6,396 Indian Administrative Service (IAS) officers, however, there are only 4926 officers in the country. There is an unwillingness among officers of the state to undertake Centre deputation. The All India Services provide a unique link between the cutting edge at the field level and top policy-making positions as has also been mentioned by the First Administrative Reforms Commission (ARC) and by the Sarkaria Commission. This bridge between policy-making and implementation, while crucial to all systems, has been of strategic significance in the Indian context, given the regional diversity of the country. The exposure and sensitivity to the country’s complex socio-political milieu and to the needs of the common man, which widespread field experience provides to these Services, may not be available in the private sector since the private sector does not have the same width and depth of exposure to this type of field experience. Lateral entry only at top level policy making positions may have little impact on field level implementation, given the multiple links in the chain of command from the Union Government to a rural village. Lack of sufficient and suitable talent in the private sector. Operational difficulties of fresh recruitment for a Senior Executive Service (SES). The possible adverse impact of such recruitment on the constitutional mandate for affirmative action as a result of the creation of a new recruitment channel at a senior level. An issue of conflict of interest when it comes to entrants from the private sector. The potential loss of internal talent as well as the likelihood of atrophy of the existing career based services. How do other Countries Operate? Found in India, France, Italy, Japan, South Korea, Malaysia, and Spain. Recruitment at the entry level through competitive examinations. They are trained and groomed to become elite corps and then put on an accelerated career trajectory. The advantage of its closed nature is that there are a common culture and value system, and an enviable degree of esprit de corps, a combination that facilitates excellent communication across the governmental spectrum. Found in Australia, Belgium, New Zealand, UK, USA, Netherlands. The appointments to identified senior positions are made from a wider pool comprising all civil servants who are qualified to apply as well as those applicants from the private sector with relevant domain competency and experience. Its openness is its basic strength. All professional cadres in the government and even those outside the government can compete for selected top positions. This makes it possible for lateral entrants to bring in their own work culture which enables renewal and adaptiveness in government organizations. However, the bulk of appointments in the position-based system is from among career civil servants. In the American SES, only 10% of the positions are filled up by “outsiders”. In Australia, recruitment to the SES from outside the Australian Public Service has ranged from 25% in 1992-93 to 14% in 2000-01. 20% of Korea’s career-based SES is now recruited from the open market. Career management is more decentralized in the position-based system as compared with the career-based system. While members of the career-based SES are employed from the time of recruitment to the age of retirement, the position-based SES is on the basis of contracts. In both cases, performance standards are stipulated in advance and appraised rigorously. Posts within the functional area which should be staffed by the relevant functional cadre. Posts outside the functional area for which the required functional experience may be available in the All India Services, the Central Services, and among specialists like engineers, scientists, economists, etc. The Commission went on to recommend that the level of Joint Secretary and Additional Secretary in senior management, outside the purely functional posts, “the areas of specialism will broaden out and it should be possible, and it is necessary to provide for mobility from one specialism to an allied specialism. At the highest level of Special Secretary or Secretary and equivalent in Central Government, the factor that should count most is one’s general managerial competence”. For creating a senior management or leadership pool in Government of India, competition can be infused through two main mechanisms: a) opening up the senior management cadre to all existing Services, and b) lateral entry by opening the senior management cadre to aspirants from the private sector who can bring new skills into government. Lateral entry into civil services as done in the past on an ad hoc basis is not a suitable model of manpower planning since the present incumbents in government departments tend to resist entry of outside talent and the whole process remains personality driven and inchoate. Need to institutionalize the process of induction of outside talent into the government. Lateral entries should be done at the present level of Additional Secretary / HAG which is a leadership position from which one can aspire to reach the rank of Secretary to Government. These posts involve leadership rather than purely operational roles and issues such as the requirement of greater functional/ technical knowledge at operational levels. Central Civil Services Authority should be entrusted with the task of identifying the posts at the higher management level, HAG and above, where induction of outside talent would be desirable. Such posts could then be opened for recruitment by tapping talent both from within and outside the government through a transparent process to be implemented by the Authority. The present empanelment system for short-listing officers for posting at the Senior Administrative Grade (SAG) level and above should be replaced by a more transparent and objective placement procedure. At higher levels of government, it is necessary to ensure that the tasks assigned to a public servant match his/her domain competence as well as aptitude and potential. Ministries should classify all of their SAG level posts according to their relevant functional domains. There is need to introduce competition for senior positions in government by opening these positions in Government to all Services. A Central Civil Services Authority should be constituted under the proposed Civil Services Bill. It shall be a five-member body consisting of the Chairperson and four members. such other matters that may be referred to it by the Government. Conclusion: Lateral Entry into Civil Services – needed or not? The recruitment in the lateral entry can be done for specific mission-mode projects. Eg, Nandan Nilekani for the Aadhaar Project. Transparent recruitment as per recommendations of 10th ARC report to ensure clearly defined service rules and accountability. Norms should be liberalized for civil servants to work outside the government with multilateral agencies, nonprofits or corporations. could have explained this in a more simpler way. Hard time understanding your articles these days! Previously it were all easy to understand. Now its kind of not. Hi Munazza…We are taking your feedback in the right sense. We always put a lot of effort to make our articles simple and faster to learn. If the above article is still difficult to comprehend, we are sorry for the same. We shall surely try to present the future articles in a much more simple and easy to understand way. Stay tuned for more updates. as a aspriants of civil service i failed to understand that why the bjp goverment allows the lateral entry in the administration system . i confused in nearby future. i mean in 2022 exam will conducted or not? I would like to appreciate and congratulate the Govt and Modiji for taking decision of “lateral entry” scheme. At the same time it is really sad that some political people are opposing this great move and spreading negative vibes against the decision. It is really great move of government and everyone should have to support it. It will attract the pool of experienced and talented people, which will help to minimize or to eradicate the lethargy and red -tapism from the Government working system. What is literal entry means? This is a worst thing that a government can do to it’s own administration.This move is not at all a right move in any sense. This simply means unnecessarily tinkering with the administration of the country both at state and centeral level , without knowing the pros and cons of the decision. The Government of India is ignoring the endless disadvantages and demerits that will be ushered in our prestigious and just administration, just by this decision of ‘ lateral entry’. If at all the GoI wants any kind of change in the present bureaucracy system,then there are various other reforms that can be taken in the field of administration but the idea of lateral entry doesn’t fit any where in any sense. India’s Bureaucratic System is one of the best system in the world. I don’t know what has happened to our government. This is simply being done just with the aim of general elections ahead in 2019. This decision will be politiced soon if not taken back as soon as possible.There are millions of other issues that needs attention,so it’ll be wise if we focus and concentrate on those issues rather than wasting the precious time unnecessarily in our prestigious system of administration which is best in it’s form, approach, powers and functions. Our bureaucratic System doesn’t require any change. Didn’t know such idiots also exists, you need to hear yourself before you speak up anything, There are numerous talented capacity that India holds @ private sectors currently and can shape a better administrative, constructive approach towards the betterment of current system. I am a Retired Colonel from the Indian Army. I took a premature retirement in 2007. 24 Years in the Indian Army. 5 Years as the CEO of a Telecom Company. Present President of the All India Solar Pumping Association. Can anyone guide me as to how i can apply for this “Lateral Entry” into the IAS?